I only watched Oz: Great and Powerful one time, and while the movie didn’t move me in any way, it might be one of those instances where a second watch is needed. Anyways, on the the Disney fact for this week. 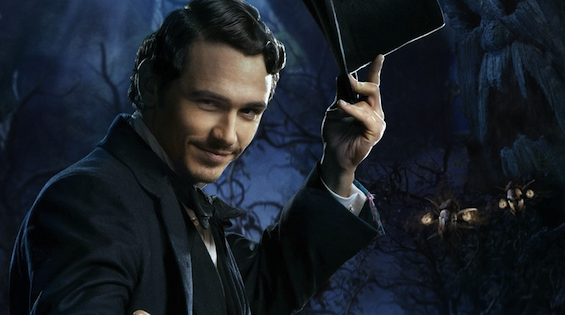 James Franco, who plays Oscar Diggs (aka Oz), had to learn magic tricks in order to accurately portray his small-time, circus magician character. He arrived to the Oz set two weeks early so he could work with Las Vegas magician Lance Burton. Working every day, Franco learned tricks involving doves and fire, as well as how to pull objects out of hats and how to make things levitate. « NEW Indigo Home Décor Collection! I actually quite enjoyed this movie. Thanks! And congrats on 500 Followers – wow! !